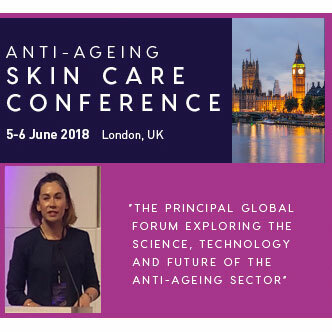 At the 6th Anti-Ageing Skin Care Conference held in London on June 5-6, 2018, Dr Bianca McCarthy, of the University of Sydney, Australia, presented her research on the photoprotective and anti-skin aging effects of vitamin D and similar compounds. Her work shed a new light on the processes inducing UV-related DNA damages and pave the way for a generation of cosmetic products even more efficient at fighting against premature aging and risks of melanoma. Our skin has developed various strategies to protect itself from the harmful damages of UV rays, like pigmentation, stratum corneum thickening, the activation of DNA repair pathways, or the production of vitamin D compounds. ‘These processes are first in line to fight against the damages induced on the skin by sun exposure,’ explained Bianca McCarthy. But what exactly does it protect itself from? These harmful effects are mainly induced by Cyclobutane Pyrimidine Dimers (CPDs), DNA molecular lesions that result from the covalent bonds produced by the skin absorption of the energy of UVBs and UVAs. They are pre-mutagenic and can be responsible for the development of skin cancer… if the skin did not do anything to defend itself!